Generous donations from College of Science alumni have enabled renovations to the nearly 100-year-old field camp. 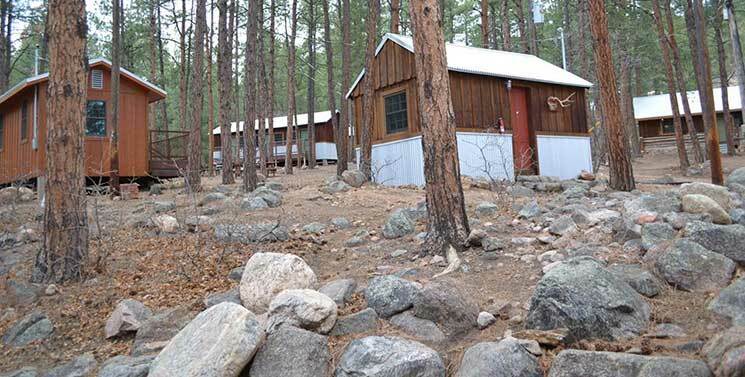 For nearly a century, LSU students and professors have trekked to a rustic camp facility in the foothills of the Rocky Mountains, south of Colorado Springs, Colo. The Department of Geology & Geophysics in the College of Science has used the site for field courses since 1928, making it one of the oldest continuously operating field camps in the U.S. The 1300-acre, “all-inclusive” Charles Barney Geology Field Camp is equipped with its own permanent living and dining quarters. The field camp program, named in honor of 1949 LSU engineering graduate Charles Barney, spans six weeks and includes classwork and fieldwork for freshmen and seniors. Students participate in lectures, exams and laboratory exercises, all while spending time in the field. In addition to geology majors, the field camp is shared by LSU petroleum engineering students, and is also open to students from other universities. Eighty-five years of weather and use have taken their toll on the cabins, prompting several generous geology alumni to fund renovations of the site. “It’s something that ought to be preserved. It should be promoted,” said Armour C. Winslow, a 1957 alumnus and donor to the field camp, which he attended while working toward his master’s in geology. Winslow described the camp as an outlet for potential geologists to gain field experience that is different from the experience they have along the Gulf Coast. For each visiting student and teacher, the field camp offers a learning experience beyond the classroom, as it explores the complex natural structures and mechanisms of the earth. It is not only a high-quality environment for teaching, but also a valuable recruiting tool for LSU’s geoscience programs.